The College of Engineering at Peking University (COE) offers an unparalleled opportunity to be part of a forward-looking and innovative engineering college inside one of China’s foremost comprehensive universities. Undergraduates enjoy a good balance of intellectual and practical experiences by integrating coursework with abundant research activities in laboratories. COE has established close relationships with over 50 international engineering schools, enabling the students to engage in international exchanges and broaden their visions. In response to individual differences of each student, students are paired with a supervisor who will care for their individual needs. 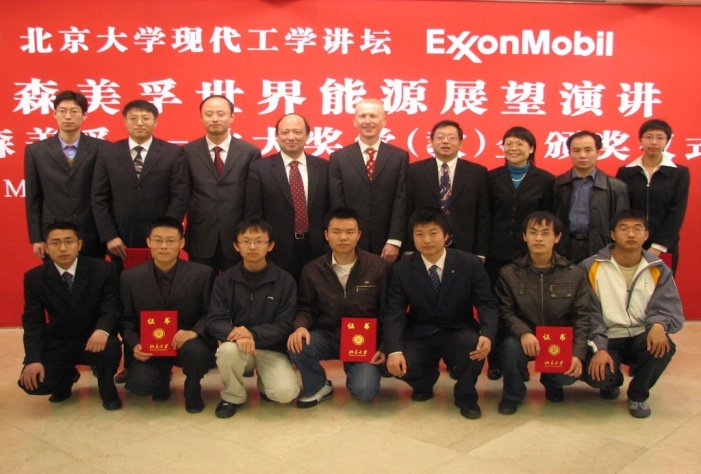 The college provides scholarships such as Schlumberger, ExxonMobil and Boeing scholarships for undergraduates. Students are required to complete the curriculum for four years and fulfill the designated hours of credits. Freshmen students share the same curriculum and study some common core courses. Students enjoy flexibility after the first year and have sufficient time to choose the academic program that they like the most. There is no quota limit and students are free to choose from the six programs after being admitted into COE. The undergraduate programs in the College of Engineering are designed to provide ample background for a wide variety of careers. The majority of graduates choose to further their studies. Of the 2011 graduates, 46% chose to continue to read for a research degree in mainland China, 35% enrolled in overseas postgraduate courses, and 19% opted for direct employment. The College of Engineering aims to provide the best educational environment for students to reach their full potential in the study of engineering science and as persons. We make full use of the resources available at Peking University to educate our students to become academic leaders, innovative engineers, and leading entrepreneurs. The College of Engineering has twelve graduate programs taught by a distinguished faculty. The joint Ph.D. program of the Department of Biomedical Engineering (BME) offers a unique means for U.S. and Chinese students who want to learn and work in a global economy and in global health settings. Students apply to the program through their home campus, either the Department of Biomedical Engineering at Peking University in Beijing or the Wallace H. Coulter Department of Biomedical Engineering at Georgia Institute of Technology and Emory University in Atlanta, Georgia. Students have an advisor at the home campus and co-advisor at the secondary campus. Most of the classes and research take place on the home campus; however, students also spend at least one year taking classes and participating in research in the co-advisor's lab on the secondary campus. Classes are taught in English and a single dissertation satisfies the thesis requirements of all three institutions. The College of Engineering welcomes international and short-term visiting students to pursue degree or non-degree programs. Peking University offers scholarship opportunities for perspective students.